Oshwal Dental Seminar | Oshwal Association of the U.K. 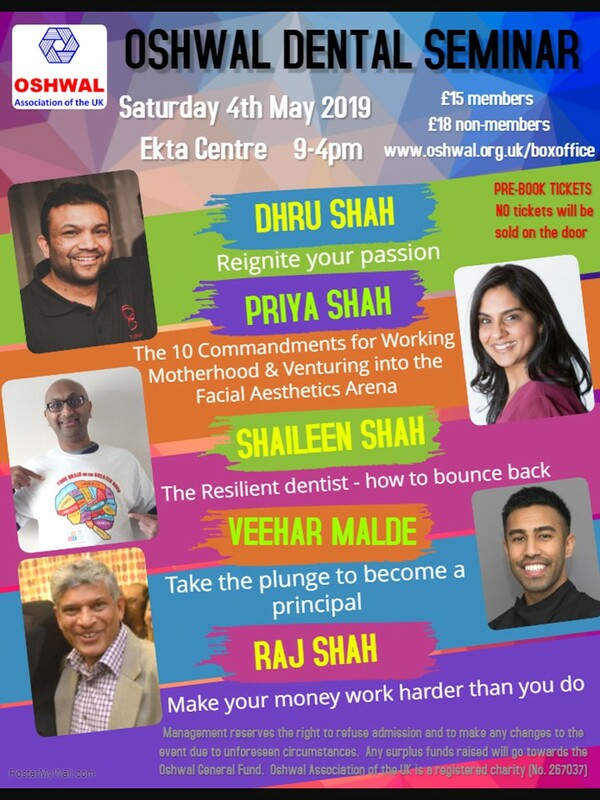 Refunds are at the discretion of the organiser OAUK, however no cancellation or refunds will be accepted 10 days (by 25th April) prior to the event. Cancellation request has to be made in writing to admin@oshwal.org with full booking and contact details.